8th Edition is almost here! I'm pretty excited, we've looked at the rulebook, and I'm ready to get back to work. I'm split as to what I want to do for July...I did nothing in June. I'm thinking a block of 5 Trolls, and work on Throgg! Sounds like a good plan dez, my next projects are chaos ogres and repainting my hellcannon. Funny enough, I have some Chaos Ogre and Hellcannon Conversions I've been wanting to work on as well. I'm really hoping for another Escalation League to help with motivation! 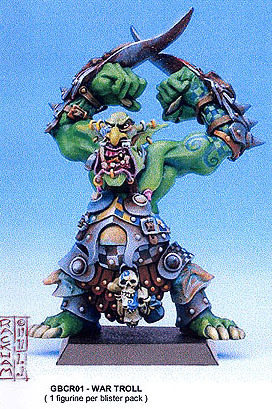 Any chance we can see some pics of the custom Throgg? or must we wait til the bad boy is painted?